Here are some air conditioner brands for ductless split units that are becoming more popular due to their ease of installation and lower operating cost. In temperate countries, a heat pump unit can be installed where the heat pump will provide cooling during summer and heating during winter. In tropical countries, a cooling only unit will suffice. Compare the specs and prices of the various products before making a decision to purchase the unit. Diakin is a Japanese company and was founded in 1924. Since then this company has been specialising in heating, ventilation and air conditioning products with more than 60 manufacturing sites globally. Its reputation has soared in recent years with three core technologies to offer. They are heat pump system, refrigerant control and inverter technology. Diakin is also the pioneer of VRV or variable refrigerant volume technology that is used in commercial buildings. 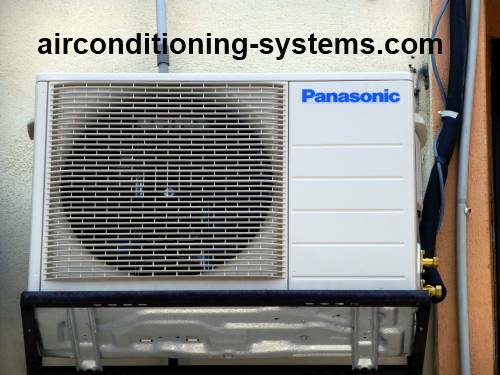 The refrigerant control enables it to supply the correct amount of refrigerant to cool or heat the individual space efficiently. The heat pump DC inverter single split unit helps to save your energy bill as well as providing quiet operations in the house with SEER rating up to 18. The compressor speed is variable depending on the load of the space being conditioned. Multi-split inverter models can also be installed depending on the size and air conditioning needs of your home. This is one of the air conditioner brands that is growing globally every year. Panasonic is another Japanese brand that has manufacturing facilities all over the world. This company is highly diversified and produces many other consumer goods such as refrigerators, microwave ovens, cameras, video cameras, compressors, televisions and washing machines. In air conditioning, they are strong in window and room air conditioners. The first air conditioner being introduced to the market was in the year 1958 under the brand name "National". The latest inverter based single split air conditioners claim to save energy up to 65%. If cost is a concern, you may want to install the non-inverter type. Other models for offices and commercial buildings are also available from this company. Look out for the other features to save energy such as sensors that can detect the presence of people in the room, the amount of sunlight, movement in the room and locations of the humans in the room. The data from these sensors are then used to adjust the direction and cooling capacity for the room. Samsung is a South Korean brand that has evolved over the decades to become one of the major players in the field of air conditioner. It was established in 1938 and ventured into the electronics industry in the 1960s. Today, it also produces other consumer goods such as smart phones, refrigerators, televisions, washing machines, cameras and video cameras. It also has a full range of air conditioners for homes and offices. Look out for their inverter as well as non-inverter products. These days, every company needs to have inverter technology as this is the way forward in all white goods. Also consider buying models with filters that trap dust and other airborne organisms from being discharged back into the room. The Plasma Ion Technology is said to be able to eliminate bacteria and viruses from the air. Electrolux was established in the year 1900 and has grown to be a global leader in home appliances and appliances for professionals. In the field of air conditioner for homes, it also offers ductless split inverter as well as non-inverter models. The inverter model has a feature called I Feel technology where the sensor is located at the remote controller. When activated, the temperature within the vicinity of the remote control will be maintained at the the user set temperature by the air conditioner. The Duo Plasma and Integrated Purifying Systems are also able to trap the dust and eliminating micro-organisms such as bacteria and viruses from the air. Hitachi was established in 1910 and has grown into a multi-national company. Its ductless split inverter air conditioner has intelligent sensors that sense the activities of peoples in the room and adjust the capacity of the air conditioner automatically. Its Air Sleep model can operate with indoor sound level down to 19dB. Other features include stainless pre-filter, stainless air duct and stainless louvre. Air purifying filter and UV Fresh are other features built into this model. LG is also a South Korean brand based in Seoul and was founded in 1958. It is also a highly diversified company that produces goods such as televisions, refrigerators, washing machines, smart phones and monitors. In the field of air conditioners, it also has a full range of products for homes and commercial buildings. Both inverters and non-inverters products are available. 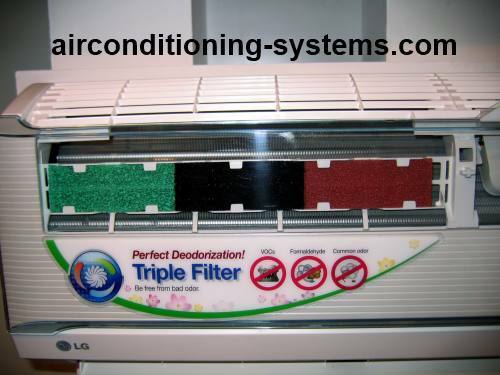 Among the split unit features that you can look out for include the ability of the filters to capture dust and eliminate harmful micro-organisms such as bacteria and viruses from the air. The ionizer technology also helps to eliminate fungi, pollens and other organisms hence sterilizes the air. Another feature is the Skin Care technology that helps to keep the skin healthy by ensuring adequate moisture in the air. Its wall mounted units are designed for easy installation hence there is less waiting time for your unit to be up and running. Carrier is a U.S. company with headquarter in Farmington, Connecticut and was established in 1915 by Willis Carrier. This company's strength is in commercial refrigeration, building solutions, transport refrigeration and home products. It is the largest HVACR solutions provider in the world. Plenty of innovations have come up from here due to its specialized nature in HVAC & Refrigration. Carrier has joint ventured with Toshiba in producing certain range of residential products under the brand name of Toshiba Carrier. Toshiba is a Japanese company which produces white goods as well. The inverter ductless highwall heat pump model has a cooling efficiency of up to 23 SEER. It also has 5 indoor fan speed and a turbo mode for fast temperature adjustment. The unit has an indoor noise level of 26dB and outdoor of 47dB. This is another global air conditioner brands that everyone in the HVAC industry will know.